Iran’s Supreme Leader on Monday rejected U.S. President Donald Trump’s offer of unconditional talks to improve bilateral ties and he also accused the Iranian government of economic mismanagement in the face of reimposed U.S. sanctions. Washington reimposed the sanctions last week after pulling out of a 2015 international deal aimed at curbing Iran’s nuclear program in return for an easing of economic sanctions. 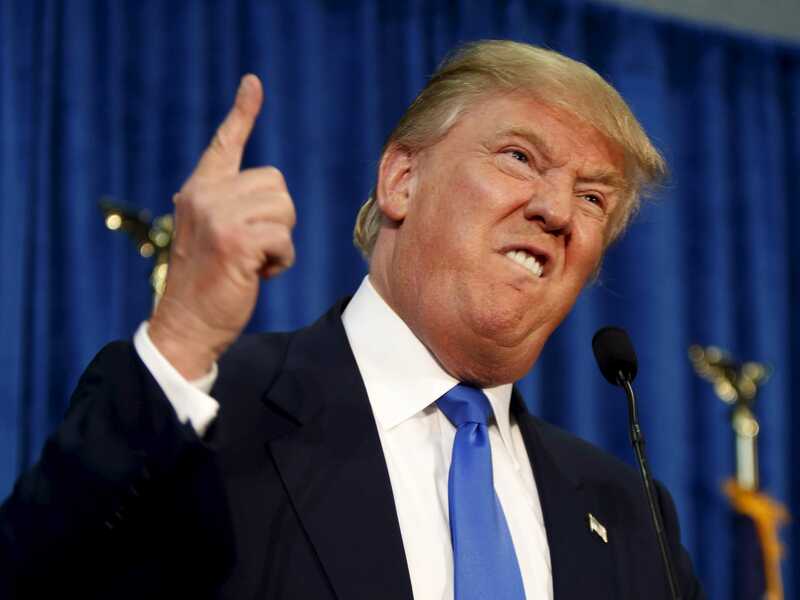 Trump Trump has also threatened to penalise companies that continue to operate in Iran. “I ban holding any talks with America… America never remains loyal to its promises in talks,” said Ayatollah Ali Khamenei, who has the final say on policy in the Islamic Republic. “America’s withdrawal from the nuclear deal is a clear proof that America cannot be trusted,” state TV quoted Khamenei as telling a gathering attended by thousands of Iranians. The sanctions target Iran’s trade in gold and other precious metals, its purchases of U.S. dollars and its car industry. Washington had said Iran’s only chance of avoiding the sanctions would be to accept Trump’s offer to negotiate for a tougher nuclear deal. Iranian officials already rejected the offer but it is the first time Khamenei has publicly commented. But Khamenei ruled out the possibility of war with the U.S. “They (the Americans) are exaggerating the possibility of a war with Iran. There will be no war… We have never started a war and they will not confront Iran militarily,” he said. Khamenei, whose remarks on Monday come amid a sharp fall in the rial currency that has prompted angry protests, criticized the government of President Hassan Rouhani, a pragmatist cleric who championed the 2015 deal aimed at ending Iran’s political and economic isolation. “More than the sanctions, economic mismanagement (by the government) is putting pressure on ordinary Iranians… I do not call it betrayal but a huge mistake in management,” state TV quoted Khamenei as saying. “With better management and more efficient planning we can resist the sanctions and overcome them,” Khamenei said, in an apparent effort to deflect public anger over the deteriorating economy towards Rouhani’s government. European countries, which still back the 2015 deal, fear Trump’s moves will undermine Rouhani and strengthen the hand of his hardline rivals in the clerical establishment. The rial has lost about half of its value since April in anticipation of the renewed U.S. sanctions, driven mainly by heavy demand for dollars among ordinary Iranians trying to protect their savings. Iranian officials have blamed “enemies” for the fall of the currency and a rapid rise in the price of gold coins, and more than 60 people, including several officials, have been arrested on charges that carry the death penalty. “The corrupt people (officials) should be punished firmly,” Khamenei said on Monday.